Vadaine Oliver is certainly following in the footsteps of one of his Sheffield Wednesday heroes. Having seen both play this season we can safely say the 21 year-old is a chip off the Jermaine Johnson aka JJ’ block, albeit at a much lower level. For now at least. The two certainly have a similar swagger, the power, pace panache and energy that fills a fan with hope and expectation, gets you on your feet, as soon as the ball goes anywhere near them. Vadaine has a long way to go to reach JJ’s quality, but he has the help of manager and Owls fan Gary Simpson, not to mention 10 years to do it. Since missing the Hillsborough cut in May, Vadaine Oliver’s debut season has certainly been IMPressive, cemented with a hat-trick at Hyde that banished the relegation worries for the Imps on the final day of the season. Vadaine Oliver never lost a header today, against two mean centre-halves who know all the tricks. He scored three second half goals and had a hand in the all important penalty. Young Oliver- in true Dickensian style the boy always wants more – won the header that put in Jones, only for him to be pushed for a 27th minute penalty. On 48 Sheridan beats the offside, crosses superbly and Oliver uses his strength to power home a towering header. On 62 minutes a Gray throw finds Oliver and his salmonlike leap sees him beat the keeper to the ball and head home. The deserved hat-trick and first matchball. On 86, Miller threads an intelligent ball, that Vadaine takes in his powerful thoroughbred stride to send him home to meet his maker, just inside the left hand post. The Imps signed Vadaine as a free agent after the Owls released him in May. As a 20 year-old we would be entitled to a fee should the vultures come circling when the window opens in the summer. He has said he wants to continue to work with Simmo, who he knows to have a pedigree in developing players at clubs and selling them on for million plus fees. We’ll be frying tonight in Lincoln then. lets throw the boat out and add some prawns. Impdom’s hordes poured through the Pennines to make Hyde a home banker for Saviour Simmo’s soldiers. Yes ‘now you’re gonna believe us – The Imps are staying up’. Hallelujah The Mighty Imps live to fight another day, with Saviour Simmo now able to build us a squad of six foot soldiers to mount a play-off challenge. That is if the board’s ambition matches that of the manager, the huge potential fan base and a City, as a whole on the up. But let us not get ahead of ourselves, kick back, get out the good stuff, sign our BSP 3 up 3 down petition here and let’s recount the proud proud heroics that 900 Imps saw first hand. But to the game fellow football fans, to the game……. A huge Gray long throw is cleared. Sheridan gets beyond his man but the ball in is poor and goes down the keepers throat. Oliver beats two but no one is up with him and the ball flying across the box and out for the throw. A lose Turnbull ball sees Farman hit long, Oliver head on , but Sheridan cannot get a touch to finish a direct but effective move. The huge travelling support is vociferous, making this as good as a home game. Jones finally gets into the game but is fouled by Tomsett and is then caught offside for the second time. Fofana fouls Almond just as he is getting into his stride. Nicolau, on the overlap, fires a superb long range effort that is magnificently parried by Carnell who saves Power’s follow up. Sheridan then volleys over the bar. A Milligan corner is well saved by Farman. Turnbull is having a great game. Route one sees Oliver, once again, win the header, the keeper can only palm to Jones who is pushed to the floor by Brizell. Penalty! Power confidently strokes home the penalty for one nil to the Imps. A pitch Impvasion ensues – The Imps are staying up. 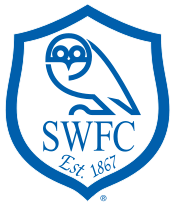 Oliver – aerially immense again – wins another header but Sheridan again fails to read it. Oliver then shoots narrowly wide. From the clearance, Miller slips, Blinkhorn gets across him and fires a curler narrowly wide. Hyde have burst into life. Blinkhorn feeds Almond who fires just wide. A great corner sees Carnell spill but Miller is just unable to capitalise. A joyous ball by Browne finds Milligan, he crosses but Brown does just enough to keep Blinkhorn from getting any connection. Oliver wins another Gray long throw but no one is gambling to take advantage of his nod-ons. On the whistle a soothing second. A Power corner finds Fofana and his powerful header is headed into the roof of the net by Ashworth. Tamworth and Woking are drawing 1-1 and Gateshead and Stockport are drawing 0-0 against Ebbsfleet and Kidderminster respectively. Green has put the Stag’s into the automatic promotion spot with a penalty 5 minutes before half-time. Both managers keep the faith. The Imps go for the jugular, Sheridan beats the offside, crosses superbly and Oliver powers home with aplomb. Hyde storm forward from the centre to win a corner. Milligan takes and Ashworth heads home at the near post for 3-1. Ex-Imp Spencer replaces Almond and Jevons comes on for Milligan as the Tigers go 4-3-3 with 3 centre-forwards. A ferocious drive from Tomsett goes just over the bar. Tomsett again goes close with another speculative effort. A great drive from Spencer goes just to the right of the goal. Brown makes a saving challenge on Jevons as the Imps sit back on a three goal lead. Naturally not Oliver who is on a hat-trick. Power’s free kick just eludes him and he then chases down a ball for a corner. Power plays a frustrating short one. Oliver dead on his feet, is given a chance to get his hat-trick as Sheridan makes way for Taylor and Jones comes off for Jordan. He does. Miller threads an intelligent ball, that Vadaine latches onto to flick nonchalantly inside the left hand post. Quality performance from the lad, the team and the manager on a proud, proud day for our football club. Come on Bob line in the sand let’s see a few grand. Time to put football first, the Mighty Imps back into the heart of our beautiful City and back into the League. Stockport did not get the right man at the right time and look where they are now. Gary Simpson has been a breath of fresh air at Lincoln City since notching a mind numbing 17 points with the goalposts moving by another point for Saturday. Yet in an incredible twist of fate he could have taken over the job at Stockport, the side currently occupying the final position in the bottom four. Gary’s deep understanding of Impdom and his desire to give the fans the success their loyalty and passion deserve, led to him not putting in his CV as Darije Kalezić got the job unopposed. Despite his strong Cheshire connections, there was only one mission. Simmo also turned down the chance to join a good mate, who moved between two League clubs, just as he received his Imp calling. Sometimes you keep the faith and have to wait for the football fates, in order to start a project that will hopefully see Simmo fulfil a life ambition. Stockport travel to Kidderminster tomorrow hoping for an inspiring win if they are to have any chance of overhauling Tamworth, Gateshead or Lincoln City, in order to stay in the BSP. We at STMI do hope they can avoid the drop, but naturally not at our expense. The sage in Simmo is mindful that our superior goal difference, 4 goals, can be wiped out by the footballing fates, but results elsewhere will also have to go against us. Gateshead will fancy Ebbsfleet and Tamworth should beat Woking, suggesting Simmo’s loyalty will be tested until the final whistle on the last day of the season. But Simmo will be well backed by the Hordes of Impdom, set to take between 700 and 1,000 to Hyde tomorrow. That is magnificent support following on from the huge numbers that went to Nuneaton and Alfreton. Crowds are also close to the 3,000 barrier at the Bank as the belief returns. That is outstanding support, something Simmo knows will be the linchpin to him hopefully opening a bottle of Magners and toasting a job well done on Saturday night. Louis Almond has a point to prove against the Imps after David Holdsworth froze him out during his loan spell at the Imps. Louis made his début for The Tangerines as a second year scholar at Crewe in the League Cup and has enjoyed loan spells at Cheltenham, Barrow (3), Lincoln and now Hyde FC. The talented left winger, just 21, certainly has a point to prove after scoring 1 and delivering 2 assists in successive games for the Imps. But after just 5 bit-part appearances he was recalled by Blackpool, moving back to Barrow on loan for the rest of the season. The Tangerines clearly rate the lad, offering Louis a new improved contract with an option for a further year. This season has seen him farmed out to Barrow until January, making 14 appearances (2 goals). Louis then joined Hyde, for a half-season youth loan in January, as part of his continuing development. In 12 appearances he has scored four and been credited with 3 assists, although his all-round contribution has been electric, providing top quality service for Jevons (15 goals) and Blinkhorn. The Song I’ve got a Tiger by the tail, made famous by Buck Evan’s in 1964 sums this one up perfectly. Would-be Sincil Saviour Gary Simpson and Impdom, hearts in mouths, have been on an emotional roller-coaster these last few years. But ours is a love affair and a road that will never run smooth akin to the soulful side of the country and Western genre, that is in reality the White man’s blues. Simmo, is mindful unquestionably right, to suggest Stockport’s survival is in Hyde’s interests as the Hatters took 1700 there new years day. So the question is, is it job done for Scott McNiven’s consolidation achieving Tigers, or will they to do their bit to keep a lucrative Cheshire derby for next season? Scott’s change from an attacking 4-3-3 in January, to a traditional 4-4-2, saw an upturn in form despite the odd hammering at Kidderminster (0-4), Alfreton (1-5), Gateshead (0-3) and Nuneaton (1-3) last week. So this game could be high-scoring either way with Jevons and Blinkhorn up front. Hyde sit 15th, three points above the Imps, by virtue of two more wins and two more defeats. The aim in this first season in the BSP was one of consolidation, following promotion from the BSN, Scott McNiven can be mighty proud of this achievement although doing his bit to keep that lucrative Cheshire derby for next season, will ensure the Tigers will be roaring on Saturday. Not unlike ourselves, April has failed to compete with a fabulous March for the Tigers. The home form has been particularly impressive with 4 wins and one defeat from the last 5. Ex-Imp Louis Almond will be a particular threat down their left. Let’s Do The Maths Shall We? When Stockport got a last gasp equaliser at Gateshead, thanks to Cirak’s 93 leveller, it left the Hatters needing to beat Kidderminster Harriers away to have any chance of survival. Mansfield will want them to get a result too. as the Stags play Wrexham – a side that came from a goal down to beat them 2-1 recently. Tamworth drew at Ebbsfleet on Tuesday, to leave the Lambs and the Heed just a point behind the Imps and two clear of Stockport. So The Hatters travel to Kidderminster who could still pip The Stags for promotion. But they will have to hope that the Imps lose by at least three whilst they win by at least two clear goals. Any less and the Imps would stay above them thanks to goals scored. 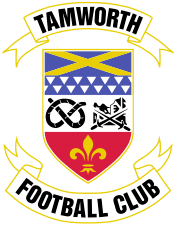 Should Stockport win at Kidderminster and Tamworth draw against Woking, they will still survive as both have a minus 15 goal difference going into the final day. If Gateshead get a point they will be safe as they are ten goals better off than the Hatters and Lambs. Over 700 Imps Set For Hyde Party. Stockport got a last gasp equaliser at Gateshead and that has really made things interesting, but they will have to hope that the Imps lose by at least three whilst they win by at least two clear goals. It would be disrespectful to discount a Hatters win, but the Imps will be travelling in huge numbers just to make sure. Estimates suggest between 700 and 1,000 will travel. Be loud be proud and feel free to go in fancy dress. A draw or defeat for Stockport against Gateshead is all that stands between Gary Simpson and the completion of the first phase of his Sincil Mission. If not Tamworth’s visit to already relegated Ebbsfleet will also need to be the right result if we are to stay up. Whatever these results, the Imp hordes are bound to descend on Hyde, with perhaps as many as 700-1000 making the trip next Saturday. Simmo’s Soldiers have so far notched 17 points, when the target was 12, but the fat lady is still standing and clearing her throat stage left, at the Sincil Bank last chance saloon. Yet Impdom stands and continues to deliver, riders at the gates of dawn, who take no prisoners. None can yield until the rise of the Imps is nigh. Time to climb Steep Hill for evening song and ask the still imprisoned Imp’s blessing, for he has dwelt almost s full millennia in our magnificent Cathedral, the sacred heart of Impdom. Yes, Tuesday could perhaps assure our safety or set in motion the sealing of our fate, cementing this last half decade, an agonising death by a thousand cuts. But the new dawn for us is easier than the trials of Poachers incarceration enshrined in stone. We simply (something Impdom rarely enjoys I grant you) need Gateshead to beat Stockport. It is a massive game for both teams, but Stockport realistically have to win it if they are to have even a prayer, if one can call it that, given they go to Kidderminster, very much vying for the BSP crown, next week. 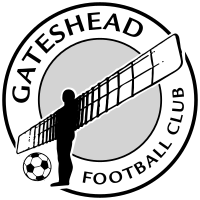 Gateshead finish with a game at home to Ebbsfleet, a side one has to fancy the Heed to beat. A draw would need to see a goal difference swing of 4 for the Imps and Hatters on the final day. The late great KA’s line ‘You can never have too many centre-halves’ still resonates. The Lambs, play Ebbsfleet on Tuesday, with skipper Courtney back after a two match ban, having reached 10 yellows for the season during a heroic 2-1 win over Forest Green. The Lambs also play Woking next Saturday. Although 9th the footballing Cards do not have the hand to beat the physical Lambs who will want to put on a show in front of their loyal and vociferous fans. 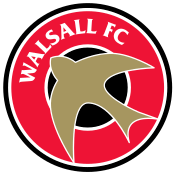 Walsall winger Jake Jones came good to earn the penalty that saved our Sincil Skins. Jake, who is a free agent at the end of the season, frightened the lives out of the tiring Tamworth defenders, forcing Oji to bring him down in the 83rd minute. Simmo gave him the signal to save our Sincil Souls on 66 and he clicked. His introduction was a master-stroke by the manager, mindful that his pace and trickery would have a winning impact against tiring legs. But to Jake, a Sincil son who will perhaps always be remembered fondly in Imp folklore. The impact Imp came on as sub for Walsall in both the FA Cup games against the Imps. Holdsworth saw enough and, in January, agreed an emergency youth loan until the end of the season, just in time for the trip to Forest Green. Jake came on in the 76th minute of the 2-1 away defeat. This was followed by an introduction on the hour at home to Dartford where his runs troubled the opposition sufficiently for Larkin to score an 89th minute penalty. Being part of a struggling side on a poor run is difficult for a winger, in so many ways a luxury player when your side does not have the ball. But Jake has tried to put a foot in as his three yellow cards attest. His speed and wingmanship have been as aesthetically pleasing on the eye as they have been a respite for weary legs, needing an avenue to take the pressure off. Simmo has been mindful of the need for leaders during a basement battle and, has therefore used Jake as an impact player. Vadaine’s suspension robbed him of a target man, to allow him an end product, but he has roasted people for fun in games, stretching teams and leaving gaps for others to plunder. Safe to say Jake has been used as a substitute player in every game, except Kidderminster and Luton, with the gaffer knowing his time would come. That certainly happened against Tamworth as Oji conceded that penalty to save our Sincil Skins. Good luck Jake, let us hope there are other sides out there prepared to give you a second chance you will doubtless grab with both hands and boots.